The following pages have been translated from Hungarian. 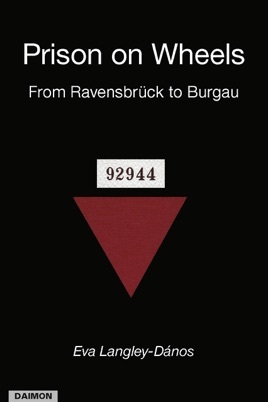 They represent an 'eyewitness report' of a 16-day, 700-kilometer journey from Ravensbrück, north of Berlin, to Burgau, near Munich, in the early months of 1945: one of hundreds of similar transportations occurring within Nazi Germany's vast network of slave labor and concentration camps. More than half a century and 20,000 kilometers separate this publication from the time and place of the events: the original manuscript dates from 1945 and from Germany. It was written, in fact scribbled, with a pencil on sheets of paper, practically 'on the spot': within months and within 100 kilometers of when and where the journey ended. From the start, I consciously avoided altering or amending either content or style. Nevertheless, being both author and translator, I am able to shed some light on the circumstances in which the manuscript was born. Shortly before the German collapse in the spring of 1945, small camps were evacuated and inmates moved to large 'centers.' Our destination was Dachau, reached after long forced marches towards the end of April. Dachau was liberated by the Americans on the 29th of that month. A few days later, I was taken with typhus to the newly erected and already overflowing American hospital just outside the gates. No sooner had the crisis point passed, than I was transferred to a former German military hospital which the Allies had designated for the special care of ex-prisoners from nearby camps. Reserve-Lazarett Sankt Ottilien [Auxiliary Military Hospital, St. Ottilien] was adjacent to the Benedictine monastery of St. Ottilien. It had been established in the building formerly occupied by their seminary and vacated on Hitler's orders. On the orders of the Americans, the same German army doctors, helped by dedicated Benedictine sisters, now looked after camp survivors. Theirs was no mean task. Unbeknownst to them, the doctors and nurses of St. Ottilien, along with many of their colleagues tending the newly liberated slaves of the Third Reich, were pioneers of an emerging 'specialist' field. The ravages of months of utter deprivation and maltreatment, aggravated by the erupting typhus epidemic, continued to decimate the thin ranks of those who had lived to see the moment of liberation. Confronted as never before with thousands upon thousands of such patients, Western medicine had to learn, by trial and error, how to balance decisive medication and treatment with a slow and very gradual restorative regime, so as to halt and reverse the total depletion of the body's reserves - a fatal process, one could say, another fatal by-product of the concentration camps. For long weeks, I was a patient in St. Ottilien. Weighing about four stones [56 pounds], with all muscles, including those of the heart, almost wasted away, my days were mostly spent resting in bed, with drips, injections, pills - and plain food - delivering massive doses of carbohydrates, proteins and vitamins, building-blocks of a new life. It was a difficult time. All around me, I saw loss of health and, oddly, loss of hope and loss of will to live. Nevertheless, my youth helped to slowly regain a hold on health; thanks to my faith, I never lost hope and my innate optimism fueled the will to live. But as strength gradually returned to my body, so did memories return to my mind, in the form of a nightmare, with a regularity that disrupted sleep, halted recovery and threatened my sanity. One of the Benedictine monks, Father Schrott, used to come over from the Abbey to offer solace in the form of kind words. I turned to him for help. He heard me out and, with a smile, said: "Write it down." Startled, I asked what he meant and he repeated: "Write it down. Write down what you think was the worst in the past few months" - and he supplied the pencil and the paper. Thus was Prison on Wheels born, in the summer of 1945, on a hospital bed in St. Ottilien, Bavaria, Germany. And the remedy worked. Once I ejected, so to speak, the poisonous material from my soul, never again did I have a nightmare, never again did my mind 'seize up' at the thought of the horrific experiences that were, with millions of others, my lot under the Nazi regime of industrialized inhumanity. As long as I live, I shall not forget Father Schrott. My only regret is that I could never thank him. 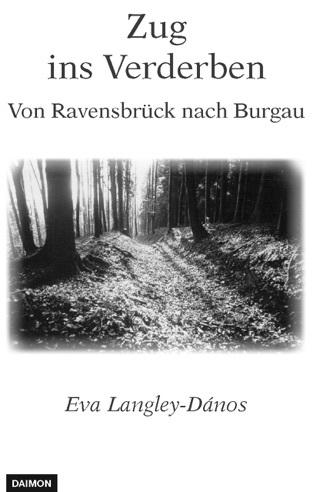 On a return visit from Australia to Dachau and St. Ottilien in 1978, I knocked at the door of the monastery hoping to be able to talk to the good Father. Instead, I was told by the porter friar of his death two years earlier. Perhaps these pages are a testimony to his deep understanding of the human mind.